Hair Straightener Contains Dangerous Chemicals, FDA Says : Shots - Health News The Food and Drug Administration is taking issue with the claim that "Brazilian Blowout" hair straightener is formaldehyde free. But the maker of the popular product says it is still safe and meets government standards. Nearly a year ago, we warned you that a popular hair product which turns frizzy locks smooth and luxurious may be endangering the health of the salon workers who use it. Well, now the Food and Drug Administration has made it official. The FDA issued a warning letter to the makers of Brazilian Blowout saying their product contains dangerously high levels of formaldehyde. Known to many as the stuff used to pickle frogs for biology class, formaldehyde is a chemical the National Cancer Institute calls a cancer-causing substance. But the company says the product is safe and is working with the FDA to clear up the "misunderstanding." 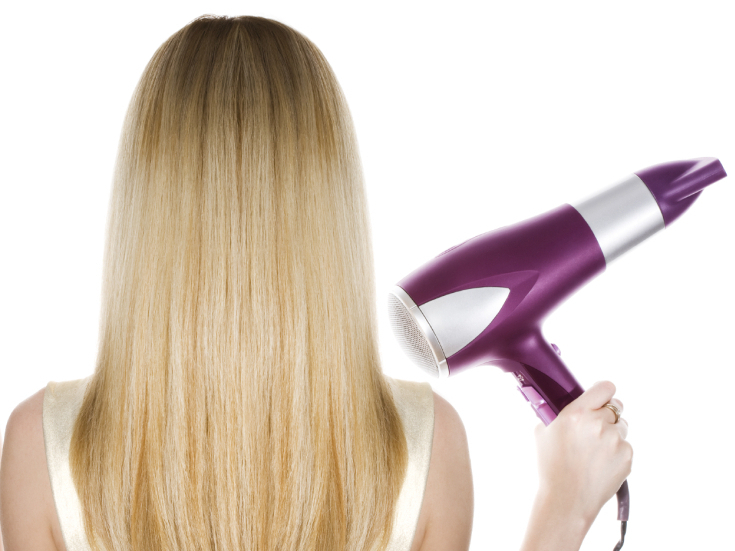 Brazilian Blowout markets itself as formaldehyde free, but an FDA analysis of the product found unacceptably high levels of methylene glycol, the liquid form of formaldehyde. Levels ranged from 8.7 percent to 10.4 percent, far higher than the 0.2 percent considered safe by the Cosmetic Ingredient Review Panel. The FDA told the California company that makes Brazilian Blowout to stop misleading customers and misbranding its product. In the warning letter, Michael W. Roosevelt, acting director of the Office of Compliance at the FDA's Center for Food Safety and Applied Nutrition wrote: "It is your responsibility as a manufacturer, to ensure that the products your firm markets are safe." Mike Brady, the chief executive for Brazilian Blowout, points to numerous tests done by OSHA (the Occupational Safety and Health Administration). "We have been tested countless times by OSHA," Brady says, "And we have never exceeded a safety standard ever," he tells Shots. Brady says he will work with the FDA, but in the mean time, he says salons can "continue to confidently offer the Brazilian Blowout Treatment to your customers with the knowledge that Brazilian Blowout falls well below the stringent standards set forth by OSHA," he says in a statement on the company website. The investigation of Brazilian Blowout was prompted by complaints from an Oregon hair stylist who said she suffered chest and throat pain and nosebleeds after using the product. According to the FDA, other complaints have included eye irritation, blurred vision, nausea, rashes and vomiting.